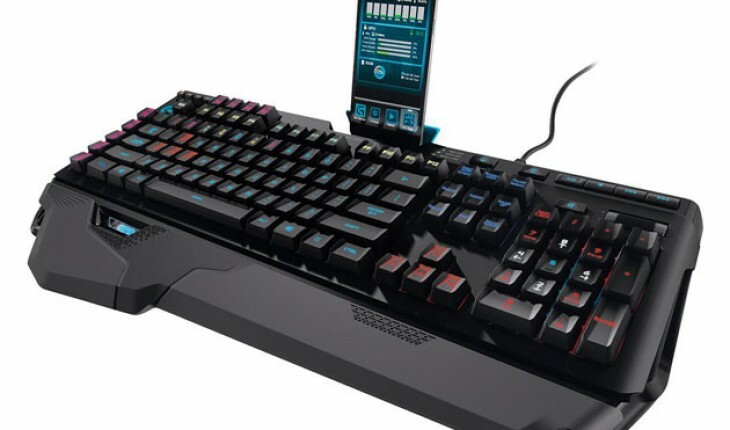 Logitech’s G910 Orion Spark gaming keyboard is the Lamborghini Veneno of gaming keyboards! I’ve seen, and even owned, several different types of cars in my life. There are Chevys and Fords, Toyotas and Hondas, even BMWs and Mercedes… and then there’s the Lamborghini Veneno. All the other cars are but dust mites in the Veneno’s intimidating shadow. Logitech’s G910 Orion Spark gaming keyboard is the Lamborghini Veneno of gaming keyboards! First and foremost, the Orion Spark is a mechanical keyboard, making the actual use of the keyboard for both gaming and general purposes an absolute pleasure to behold. There’s just something more satisfying and real about one’s finger striking a mechanical key. And the G910’s keystroke actuation is rated at 25% faster. That might not sound very important, in the grand scheme of things, but as a writer and blogger, I can vouch for the fact that typing on this particular keyboard, even when not gaming, is unbelievably smooth. Each key on the Orion Spark is lit individually by programmable RBG (Red, Blue, Green) LEDs. This means that you can change the color of the keys on your keyboard individually, making certain types of gaming activities that much easier and more organized. And there is no limit to the colors you can use in your keyboard illumination; 16.8 million combinations in all. You could, ostensibly, make each and every key a slightly different shade of pink, if you were so inclined. I tested this keyboard out with Dying Light, and I am very happy with this keyboard’s performance while playing. The software included with the keyboard is very straightforward and user-friendly. With this software, you are able to fully customize every aspect of this amazing keyboard. The Orion Spark is designed to be the flagship of the computer keyboard industry, so the software designed to control each and every one of its incredible features has to be nearly as amazing as the hardware itself. There are a few other features that I feel should be mentioned in this review, the first of which is the volume roller bar. Instead of a typical, two-button volume arrangement, the G910 has an actual built-in roller bar for fast and precise volume adjustments. If you’re like me, and you game late into the night when everyone else in the house is fast asleep, the ability to quickly and efficiently correct the decibel-level of sudden, loud sound effects is very important! 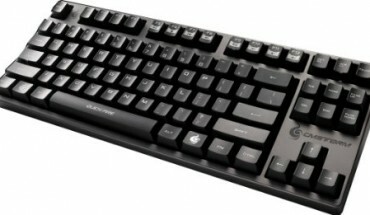 In addition to the volume bar, there are a series of programmable keys along the top and side of the keyboard that essentially function as free keys. Using the included software, you can program these extra keys to do pretty much anything you want. Obviously, this is becoming more and more important as the gaming and computing industry evolves and expands. About the only bad thing I can think to say about the G910 Orion Spark is that it costs an arm and a leg. This is definitely a downside, but I should mention that once you own the keyboard, you can program it to act as a new and more functional arm and leg… and you can make that new arm and new leg any color you want!